With compact structure, stable running, easy operation, the machine can be overprinting. Also it can print with one colour unit only. Each colour unit adopt structure of 3 forme ink rollers and 2 forme dampening rollers with balance ink & water, clear dot. Dampening, inking and plate pressure are controlled by pneumatic device with easy operation and stable feature. 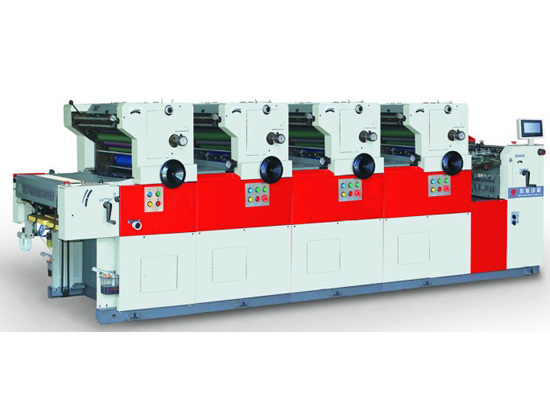 Multi-colour machine all cylinders sheet transfer device is used for sheet transfer with stable sheet and precise registeration. Use touch screen as operation displayer. Use PLC control system for electric devices.